Sustainably designed and maintained home landscapes are less reliant on pesticides and fertilizers, conserve and protect water resources, provide habitat for wildlife, increase property values, and enhance community aesthetics. In addition, growing fruits and vegetables increases home gardeners’ access to fresh produce, eases pressure on family budgets, and promotes a healthy life style. Climate and soil related challenges can make it difficult for gardeners in North Carolina to successfully cultivate attractive, environmentally sustainable landscapes and bountiful food gardens. 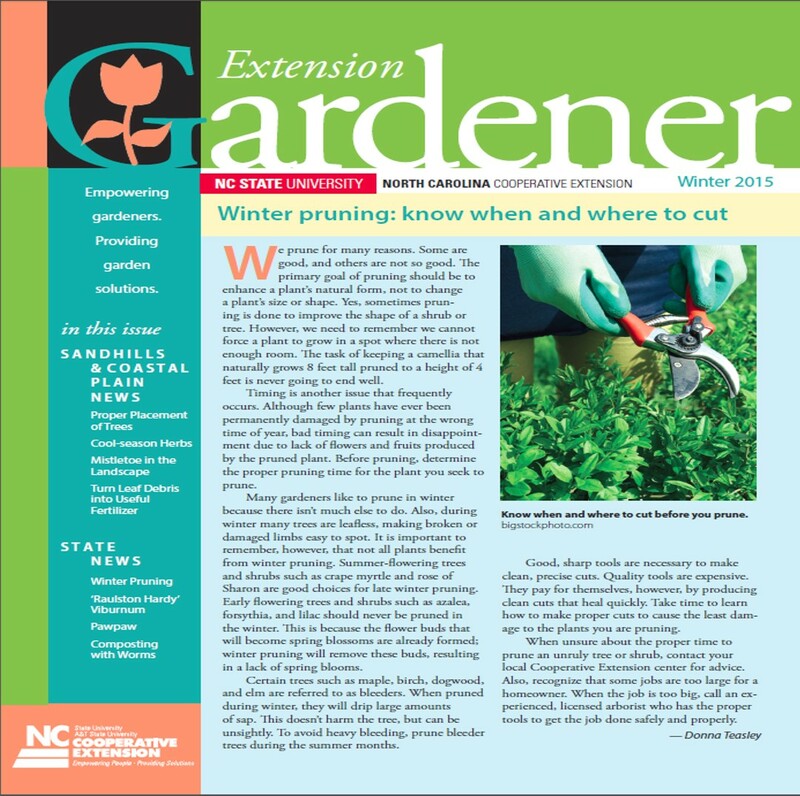 To assist state residents with their gardening efforts, Extension horticulture agents from across North Carolina work together to produce four issues each of three regionally based editions of the Extension Gardener newsletter each year. Each issue delivers timely, research based information to NC residents on plant selection, sustainable landscape and turf management practices, and home food production. 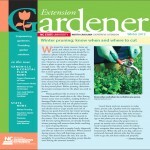 In the fall of 2014, Extension Gardener readers were invited to participate in an online survey. One hundred eighty seven of the newsletters approximately 4,000 readers participated in the survey. 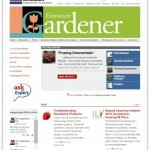 Seventy seven percent of survey participants said they find Extension Gardener to be highly useful and timely, while 93 percent find the newsletter’s information highly reliable. Ninety eight percent of survey participants reported they have implemented at least one new gardening practice as a result of reading the newsletter, with the average reader changing three practices. When asked what value readers place on the benefits provided by Extension Gardener, answers ranged from $50 to $1,500, with an average value of $385 and combined value of $70,000 placed on the benefits received from this Extension resource.